Take a piece of Epcot home with you, with this design inspired the 2015 park map of Walt Disney World’s Epcot Park, showing glimpses of Future World and the World Showcase! Great for the summer, sleeveless top is made up from an inner white tank top (90% polyester, 10% spandex), with a printed chiffon top layer (100% polyester). The top features a bubble hem which makes it flattering for all body types, and is fully machine washable. 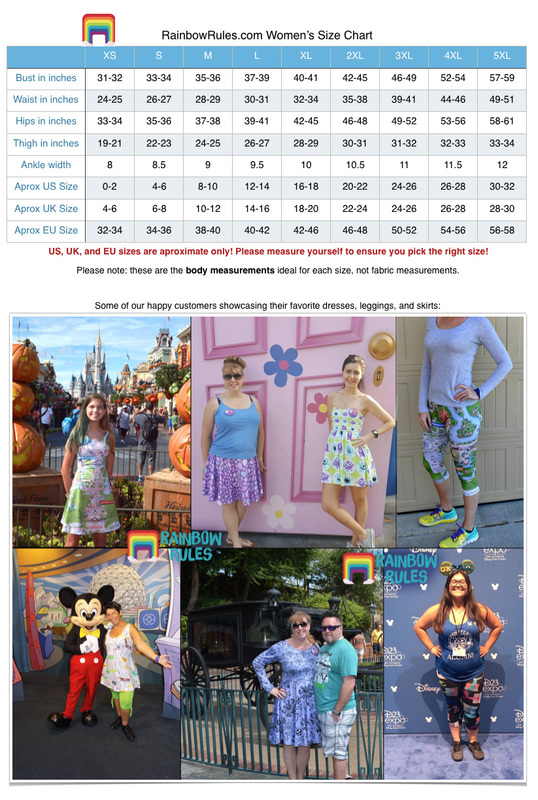 Size Chart: These tops are available in XS - 3XL, catering for a wide range of body types and ages. Even though technically these are women's sizes, XS and S are small enough to be a great fit for younger teenagers! Please click here for a fully detailed size chart. Different countries and manufacturers often have different definitions of what S, M, L, etc, are, so please take a few minutes to measure yourself in inches and compare it to my detailed size chart to find the right size for you!